Total Lumens: STD-T5-HO Bulbs 10,000 Meets US Coast Guard specifications. The Larson Electronics RNT-HALSS-48-2L-PC Hazardous Location Fluorescent Lighting Fixture is approved Class 1 Division 2 Groups A, B, C and D - 1598A listed and is specifically designed to withstand high vibration locations and the rigors of wet and corrosive marine environments. 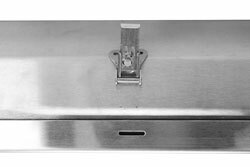 The RNT-HALSS-48-2L-PC hazardous location fluorescent light fixture is designed for use in wet areas and saltwater-marine environments where corrosion resistance is critical to equipment longevity and safety. 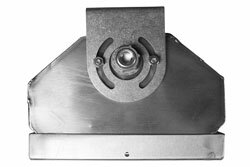 This Class 1 Division 2 rated fixture is constructed of non-corrosive materials including a stainless steel housing, a poured in gasket for reliable sealing and an impact resistant polycarbonate diffuser. 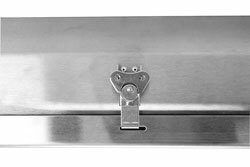 Corrosion resistant stainless steel latches secure the lamp cover to the housing and provide a firm lock against the poured in seal to prevent drips and water intrusion. This fixture is UL 844 rated and Class 1 Division II, Groups A, B, C, D approved. The HALSS-48-2L also carries 1598A and 595 outdoor marine ratings and meets US Coast Guard specifications. 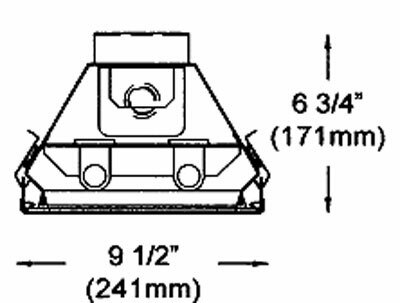 This fixture is designed for heavy duty use in applications where intense vibration and corrosive environments may be encountered. Stainless steel construction, unbreakable polycarbonate lamp covers, and a Class 1 Division 2 rating make this light ideal for hazardous locations that require illumination with above average dependability. 5. Lamp cover-diffuser constructed of high impact polycarbonate for corrosion resistance and lamp protection.